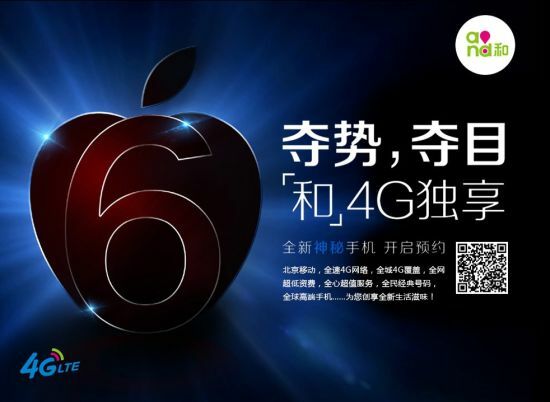 Although there are eight days to go until Apple officially unveils the next generation iPhone, China Mobile’s Beijing branch is already offering pre-orders for that device. 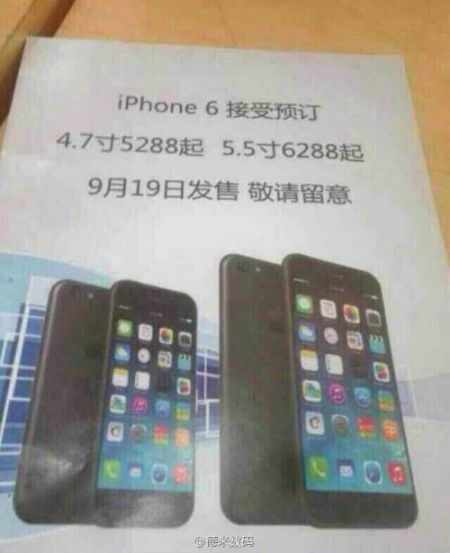 Sina Tech, a major Chinese online media company, points out a preorder page, which although not containing the “iPhone 6″ keyword, does show an Apple logo with a ‘6’ in the foreground. The banner talks about a mysterious 4G mobile phone that users can start booking right away. 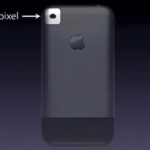 By clicking on the preorder button users end up on a page where they can choose between a 4.7-inch and a 5.5-inch smartphone shown in representative handset sketches, with the iconic home button in the bottom center. Apple is expected to unveil two new iPhone models: a 4.7-inch version and a 5-5-inch version, so this could be a clear hint. As of writing the article there are more than 8,000 preorders saved already, and it’s rising. Similarly, in another post China Unicom has allegedly revealed the possible release date and the highly anticipated handset: September 9. The entry level iPhone 6 (4.7-inch) will allegedly retail for 5288 Yuan (roughly USD$860), while the 32GB and the 64 GB versions will be priced at 6080 and 6888 Yuan respectively. The iPhone Pro (or iPhone 6L or Air or 5.5-inch version) will retail at 6,288 Yuan (roughly USD$1023), 7,088 Yuan, and 7,688 Yuan, respectively. As it turns out, it isn’t just Chinese carriers who have started taking iPhone 6 preorders: we’ve seen reports in the UK, and the Netherlands as well.